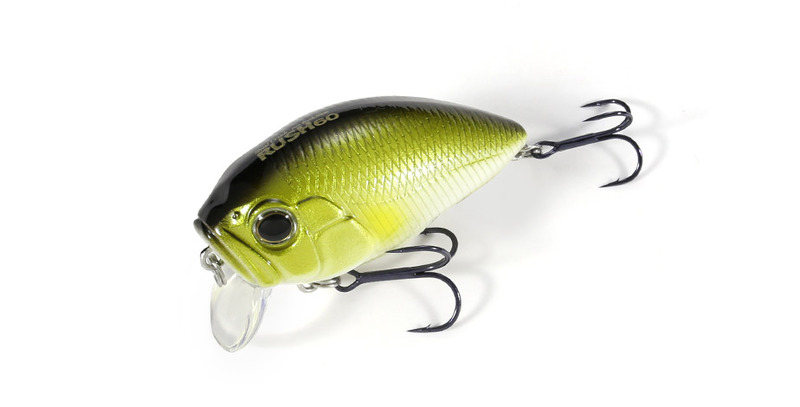 Rush 60 has been designed with the buoyancy chamber in the middle of the body. This has allowed the lure to wobble the head and tail from side to side, with the center of the body being the pivotal point. In addition, we have employed a fixed weight system for a more efficient initiation of action. With the outstanding body balance, we were able to reduce the size of the lip compared to the regular crank baits without sacrificing its action response. This reduction in size has also reduced the water pressure against the lip, easing the reeling stress on the angler.